The exterior of Q Inspiration features clean lines and an elongated silhouette. 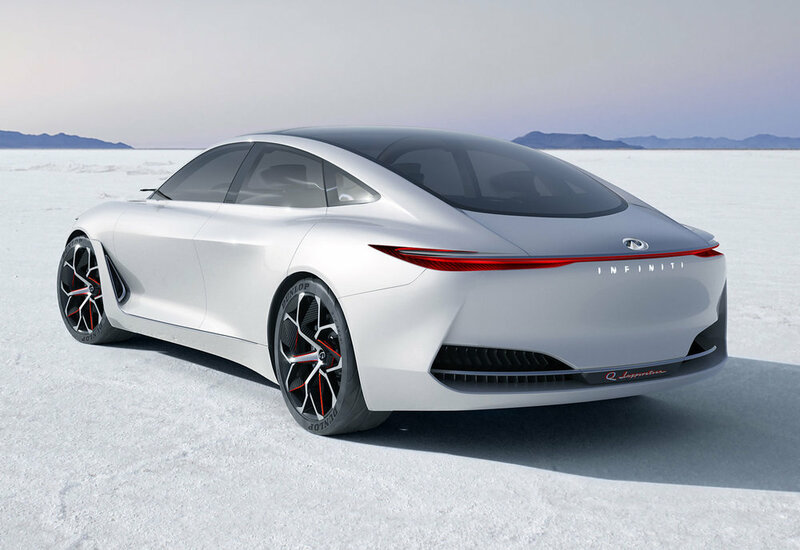 It is the first example of Infiniti's new form language for an era of advanced powertrains and presents the brand's vision for its future vehicles in the segment. The Infiniti Q Inspiration Concept will be officially revealed at the Detroit Auto Show on 15 January, 2018.